Freeze Free® self-regulating pipe heating cables provide flexible protection against pipe freeze-ups in the most challenging applications. Freeze Free’s cut-to-length technology is ideal for installations that require protection of numerous pipes of varied lengths. Using Freeze Free cable, plumbers and building contractors can install self-regulating protection on each pipe at the exact length needed. Freeze Free® self-regulating pipe cables automatically vary heat output according to changes in the surrounding temperature, protecting plastic and metal water pipes against freezing down to –51°C/–60°F. A braided metal jacket provides electrical grounding as well as protection against damage in dry locations. Reels of 100, 300 and 500 feet are available, and the cable can be cut to length as needed. Prepackaged lengths of 5 and 15 feet are also available. Freeze Free cables are rated at 3 watts per foot, 120 Vac at 10°C/50°F. Circuit lengths are 3 feet minimum and 75 feet maximum. Cables are UL Listed to US and Canadian Safety Standards and CSA Certified. Freeze* Free 5' Heat Cable Kit, Contains: Plug, Gel, End Seal & Instruction Sheet, Includes 1 Each: 5' Freeze* Free Cable & Model #10802 Connection Plug With End Seal, For Plastic & Metal Pipes, Built In Fast Reaction Fuse, Power Indicator Light Indicates An Intact Fuse, Grounded 30" Cord Set, Requires Less Heating Cable, Pipe Mounting Brackets For Easy Attachment To Typical Water Pipes, Easy Installation. Protects Pipes To -60°ree. F, -51°ree. C, UL Approved. NOTE: Color and style may vary. Oval, outdoor faucet cover, protects outdoor faucets from freezing wind & chill, all necessary hardware & simple instructions are included. 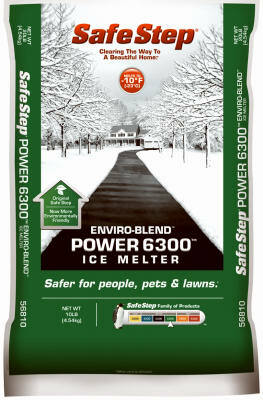 Premium ice melter, melts effectively down to -10 degree fahrenheit, safe to handle, will not harm skin, non-toxic to children & pets, will not damage shrubs, grass, vegetation, carpets, floors, leather, or shoes when used as directed, bag. 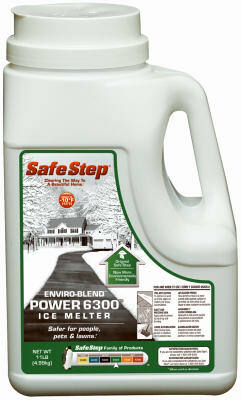 Premium ice melter, melts effectively down to -10 degree fahrenheit, safe to handle, will not harm skin, non-toxic to children & pets, will not damage shrubs, grass, vegetation, carpets, floors, leather, or shoes when used as directed, jug. The Thermo Cube is a unique, patented electrical device that plugs into a standard 15 amp electrical outlet and turns power on automatically according to outside air temperature, saving money by using power only when temperatures require heating. Each unit has two receptacles for use with more than one electrical device. Cold weather model TC-3 turns on at 35°F, off at 45°F and is ideal for home and farm applications such as pond de-icers, unheated rooms, pump houses, greenhouses, boats and RV's. One year limited warranty. 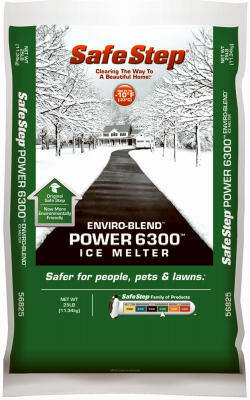 Ensure that a supply of fresh water is available for your outside pets using the Heated Pet Bowl. This large bowl features an anti-tip design and a 1. 5 gallon capacity. Using only 60 Watts of electricity this thermostatically controlled pet bowl only operates when temperatures drop below freezing. The 54 long cord allows you to place this bowl slightly farther away from electrical outlets and the metal cord guard prevents animals from chewing on it. This bowl is made from durable plastic. Birds need water in the winter too! Save yourself some time by placing this heater in your birdbath for those cold winter days. 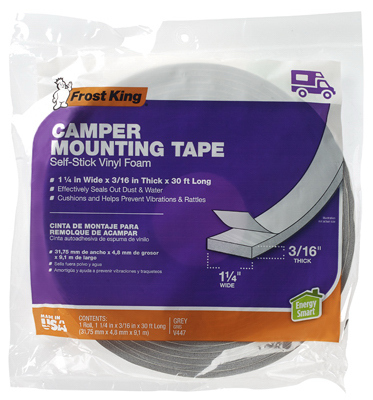 1-1/4" x 3/16" x 30', Gray, Self-Adhesive Camper Foam Weather Strip Tape, Designed Specifically For Sealing The Installation Of Pick Up Campers. A versatile self-stick tape with medium compression. Vinyl Foam Weather-seal is waterproof and weather resistant, suitable for indoor and outdoor use. 3/4" x 3/16", 17' Gray Vinyl Foam Weather-Strip Tape. 3/8" x 3/16", 17' Waterproof & Airtight, Foam Weather-Strip Tape, Closed Cell Polyvinyl Chloride Foam, A Self-Sticking Weatherproofing Foam Tape For Eliminating Air & Moisture Leaks. 3/4" x 5/16", 10' Black, High Density, Self Adhesive, Sponge Rubber Weather-Strip Tape. Our finest quality self stick tape will not harden, crack or freeze even at 40 degrees below zero. It will spring back to shape even after years of compression at subfreezing conditions. Keeps the summer heat out and the air conditioning in. 5/16" x 1/4" x 17' Gray, D-Section EPDM Rubber Weather-Strip Tape, Will Not Harden, Crack, Or Freeze, High Compression Product Will Spring Back To Shape Even After Long Exposure To Sub-Freezing Conditions. Poly Bag. 4 Pack 3' Black Tubular Polyethylene Foam Pipe Insulation, Pre-Slit, Heavy Duty 5/8" Wall Thickness, For Use On 1" Copper Pipe Or 3/4" Iron Pipe.